Almost every letter we write to you has to do with educating people about building or protecting wealth. At the end of the day, however, what does it all mean? Real wealth is more than a number, a status, or some level of material achievement. WILL VS. TRUST – WHAT’S THE DIFFERENCE? Your living trust might be out-of-date. Good financial planning isn’t just about stocks, bonds and other investments, it also involves looking at a client’s entire situation, encompassing family goals, tax planning and estate planning. When My Portfolio Guide, LLC invited me to contribute an article, I jumped at the opportunity to collaborate with them because of their commitment to understanding all aspects of their clients’ lives when implementing strategies and solutions. For those of you who have prepared a living trust, it is important to have your estate plan reviewed from time to time as things change. As you are probably aware, new Federal and State laws are constantly being implemented, not to mention any changes that may be occurring in your personal life. Because of the constant evolution of your personal situation and the legal landscape in general, I encourage my clients to occasionally review their living trusts and associated documents to make sure that everything is still going according to plan. In particular, there has been one major change which I want to make you aware of. Many people have created AB Trusts over the past two decades. AB Trusts are designed to protect more of a married couple’s assets from being taxed by the government upon their passing. 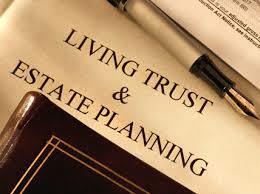 However, one drawback of an AB Trust is that it is relatively expensive to implement after one spouse passes away. The AB Trust requires that the trust be divided or “split” into two separate trusts after the first spouse passes away. This split requires the help of an attorney or a CPA to divide and administer the trust and can also give legal rights to children or other beneficiaries over a portion of the trust during the lifetime of the surviving spouse, increasing the potential for conflict. Furthermore, the split requires the filing of additional tax returns after the passing of the first spouse. The costs associated with an AB split are often several thousands of dollars.